I eat a lot of deviled eggs during the spring — especially around Easter. This all started with a few cracked eggs that just didn’t look right after I dyed them. The colors missed the thin white lines, and my eggs looked like they had stretch marks. Don’t get me wrong: stretch marks are a beautiful part of the human body. But on an Easter egg? It’s just wrong. 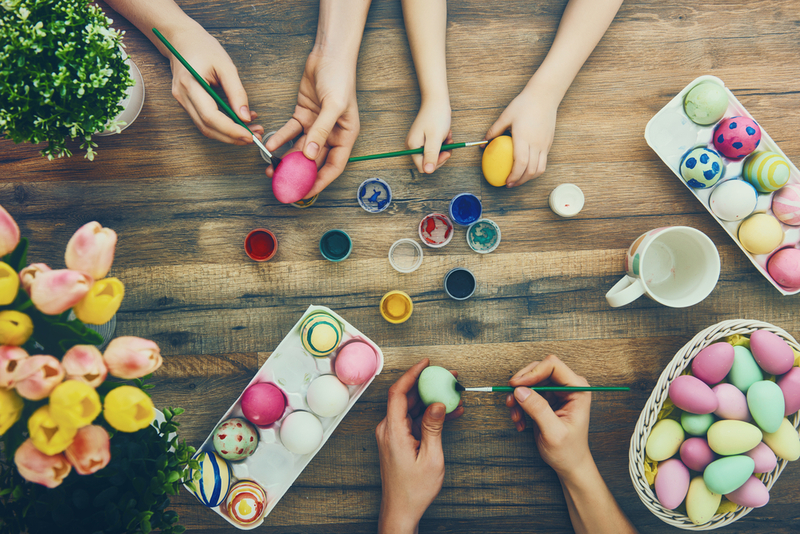 Thankfully, it’s easy to turn Easter eggs to deviled eggs, which are delicious! Once my friends and I have divvied up the eggs to dye, we set up the dipping cups. We buy generic egg-dying kits with those little tablets that dissolve in vinegar. Sometimes, the water’s a different color than the tablet, once they dissolve. The most challenging part of making deviled eggs? Removing the shell. 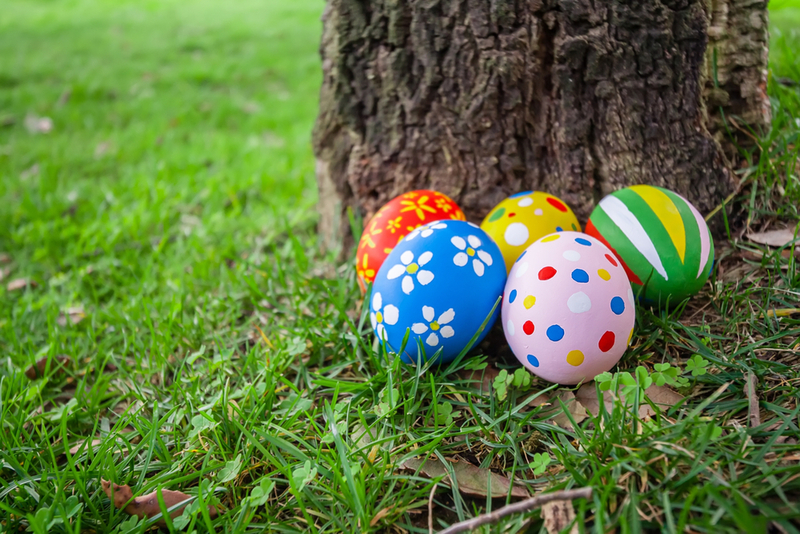 Learning how to use cracked Easter eggs is a life-saving lifehack. Their shells are already broken. If I’m honest, when I’m getting the dye ready, sometimes I hope that more eggs will be broken than not. 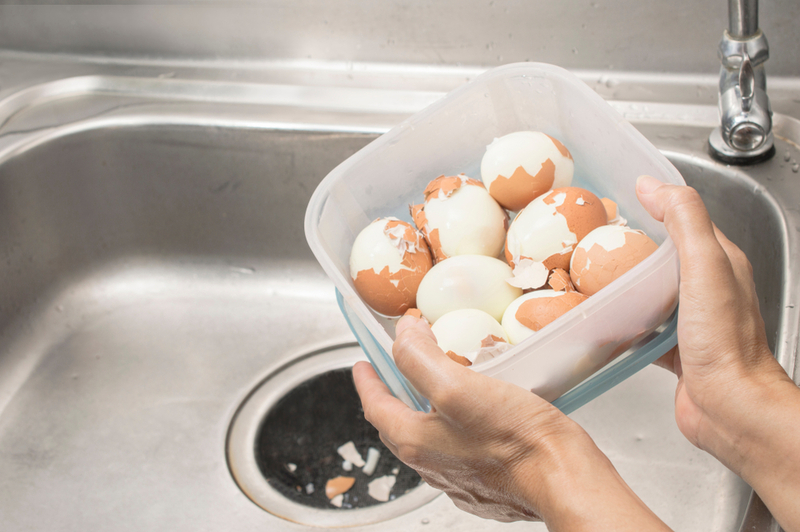 I wouldn’t admit this to my friends, but when we dye eggs together, I’m not super careful when removing them from the pot. Yes, that’s partly because I’m impatient. But it’s also partly because I want some to be cracked. I always claim the broken eggs so my friends can dye as many smooth-shelled eggs as they want. While the others finish up their eggs, I don’t hesitate to get out the mayonnaise, dill relish, and sweet relish. 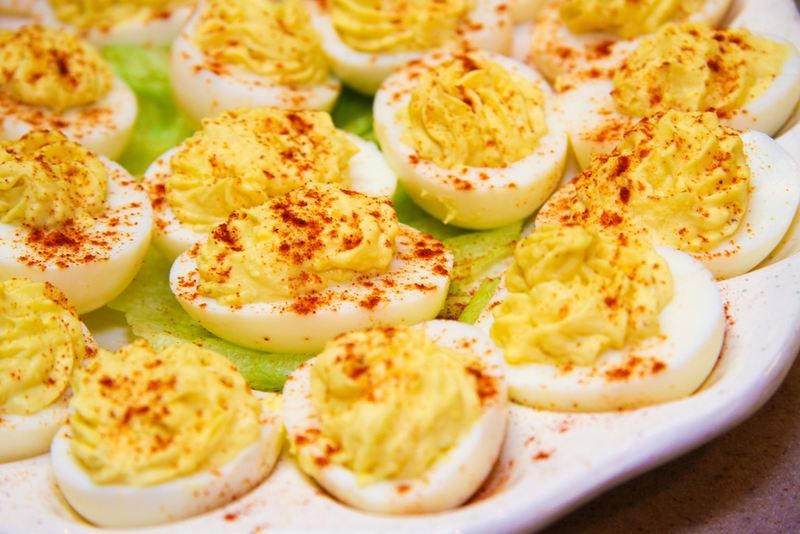 This is a personal recipe, because for the longest time I didn’t know deviled eggs involved mustard and paprika. But I like my version, so I’ve stuck to it. If you’re interested in branching out, check out these 20 variations on the traditional recipe. From blue crab to Sriracha, exciting ingredients make for heavenly deviled eggs. 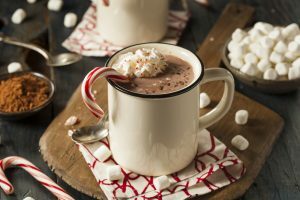 You can even make them in an instant pot! I don’t even attempt to put the yolk mix back into the boiled whites when I’m done. I never liked that part to begin with, so when I make my own, it’s just the yoke. By Easter Sunday, I’ve usually consumed more eggs than I’ve dyed. It’s all worth it, though. Besides, plastic eggs are better for decoration anyways. They don’t spoil when left out. Real eggs are meant to be cherished and eaten. 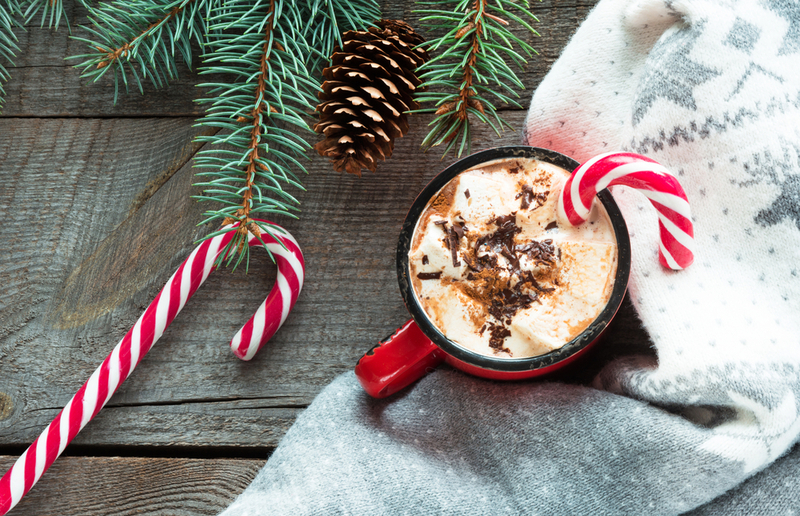 The holiday season is the most wonderful time of the year, but it’s also the busiest. Among other responsibilities, making dessert for the family gathering or work party may sound way too stressful at this point. 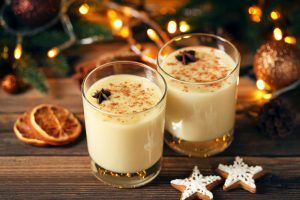 Here are five easy Christmas dessert recipes that will save you some time and energy while also satisfying even the pickiest sweet tooth. 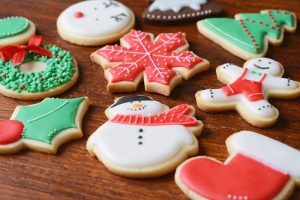 Let’s face it: sugar cookies are a Christmas tradition. It’d just feel wrong to celebrate without them. Thankfully, they’re an easy-to-make crowd pleaser. This particular recipe is our fave. Not only will it yield quick results, but the cookies will crush the competition at the dessert table. 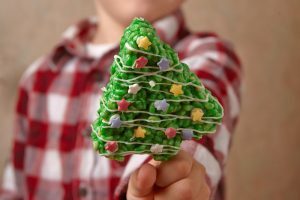 Get ready to give your regular Rice Krispie Treats a reindeer makeover that’ll impress guests of all ages. These snacks are as fun to make as they are to eat — and this is a recipe that the kids can help out with, too. For a fun twist, try adding green food coloring and star-shaped candies as ornaments. Need an easy way to satisfy hungry houseguests? 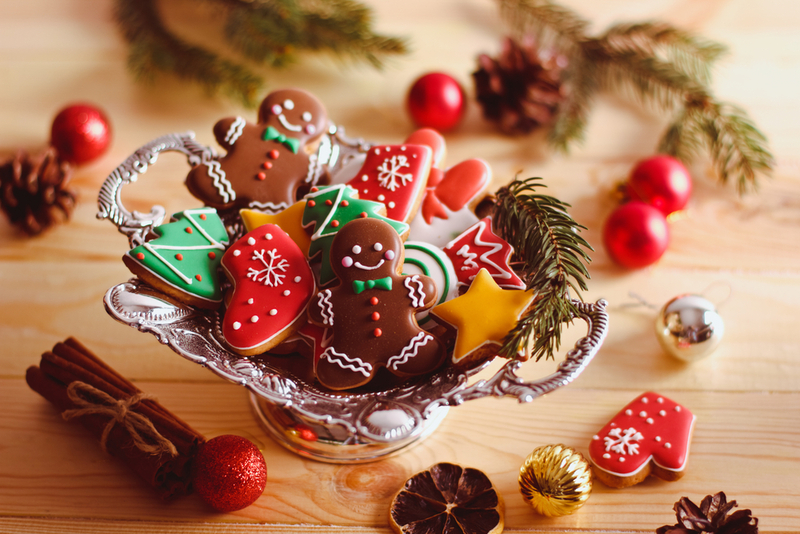 Give a holiday twist to traditional sweets! 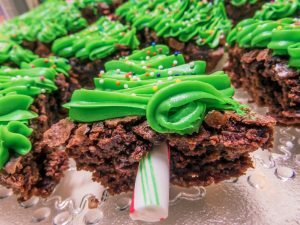 These Christmas Tree Brownies will be sure to light up the room — maybe almost as much as the actual tree! 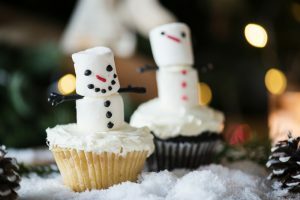 These Snowman Cupcakes make such great decorations that it’ll be hard to eat them … but not that hard. You can use almost any flavor cake mix and icing you want, as long as it’s a light enough color to look like snow. 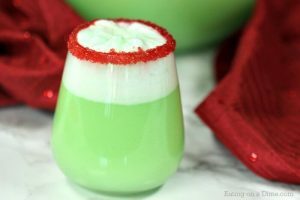 They’re a quick and easy dessert that even the Grinch of the family will enjoy. You can also use marshmallows, frosting and pretzel sticks to create stand-up snowmen on top of any kind of cupcake you’d like. This recipe may take a little longer to make, but the result will be more than worth it. Impress your guests with these cute Hot Chocolate Cookie Cups that can serve as a great compliment to an actual cup of hot chocolate to help you warm up on a cold winter afternoon. Don’t have time to bake? 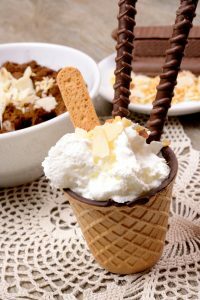 Set up a faux cocoa bar with flat-bottomed ice cream cones, pudding or yogurt, marshmallows, Nutella, whipped cream, and whatever trimmings you’ve got laying around. Just as soon as Halloween’s over, Thanksgiving rushes toward us and suddenly it’s Christmas. 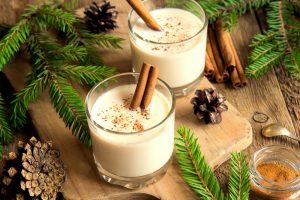 The holidays can be a little hectic, especially if you’re hosting friends and family in your home. 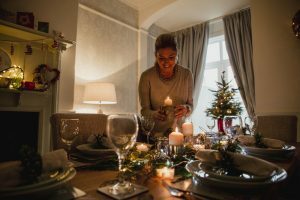 Here are five holiday hosting tips to make your seasonal gatherings warm, merry and bright. 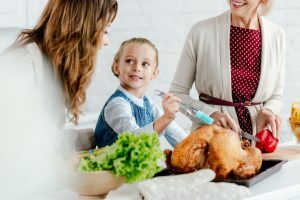 Whether you’re preparing the Thanksgiving or Christmas meal, chances are you’re going to have a lot of mouths to feed. Try making a list of everything that needs to be accomplished before the big dates, including food, entertainment, etc. 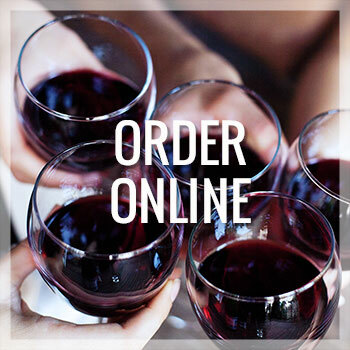 Stock up on items you might need — and buy a few extra so you won’t be short. As for the meals, it might be wise to begin preparing them the day before they’re served. It’ll take more pressure off you and give you time to focus on other preparations. Don’t be proud. Preparing holidays meals by yourself is hard, if not impossible. If the kids or other family members want to help, it’ll make your work much easier. You’ll have free hands to tend to other matters, a true culinary form of multitasking! Plates and silverware are just as important as the food you’ll be preparing, so make sure to stock up. Try and take inventory of them the day before the holiday. You might also want to set the table the day before as well, freeing yourself of the task later. 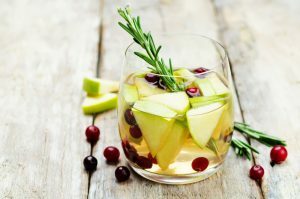 There’s so much going on while preparing holiday meals that it’s easy to forget the all-important drink. 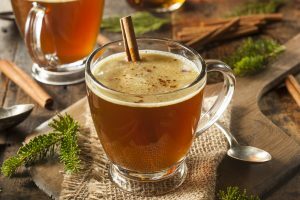 Ideal compliments for a Thanksgiving dinner could be apple cider or white wine, while hot buttered rum or eggnog would make a perfect Christmas quencher. 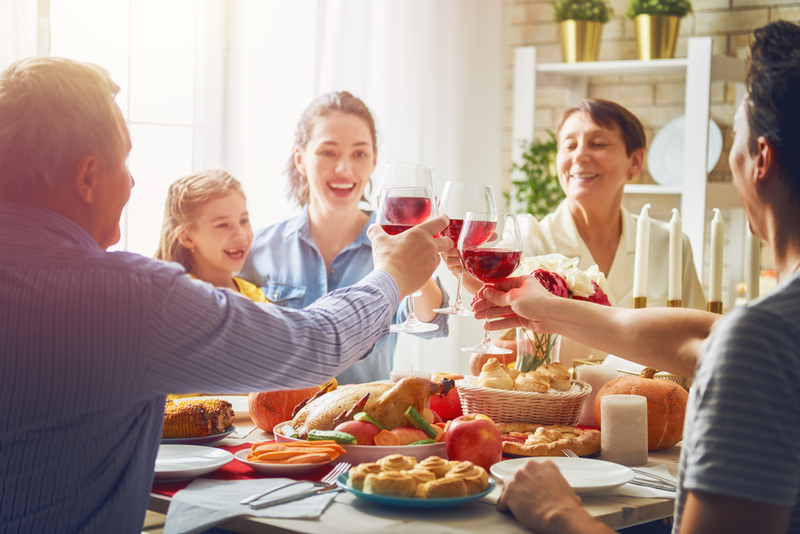 Once the meal is prepared, it’s time to kick back, have a few plates, catch up with the family and relax. 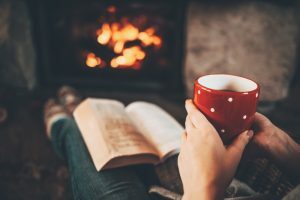 Now that the work has been done, your holiday is finally beginning. Say goodbye to the summer heat and hello to the crisp and cool feeling of fall. You’ve probably been waiting for this moment since you saw a random leaf fall out of the tree in the backyard. 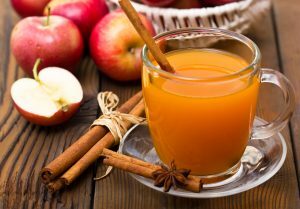 What better way to celebrate the change in seasons than with a change in seasonal taste buds? These five fall casserole recipes will put even your grandma’s casserole to shame. Squash is a clear front runner if there was an autumn vegetable contest. And if you’re a little squash obsessed, then this dish makes the vegetable the star of the show. This recipe is perfect to cook if you have some vegetarians coming over for dinner. If you’ve struggled making chicken pot pie before, then this recipe will be your savior. 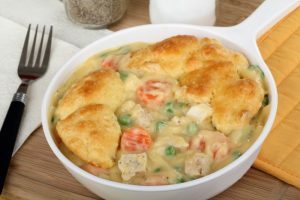 The casserole is an easier way to make chicken pot pie while still maintaining full deliciousness. On a cool autumn night, cook up this dish for that ultimate comfort food feeling. 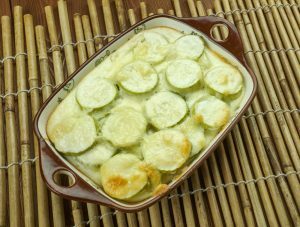 Don’t forget your veggies when it comes to casseroles! 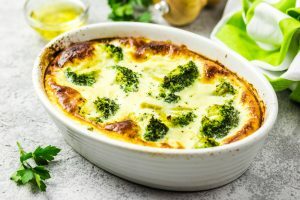 This dish is loaded with broccoli and packed with lots of cheese. 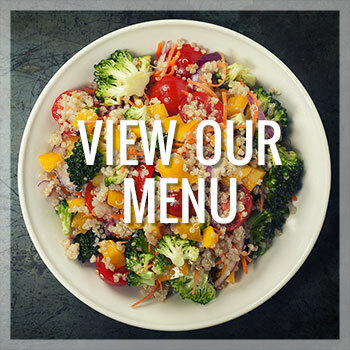 What makes this recipe even better? It can be cooked in 30 minutes and all made in one pot. 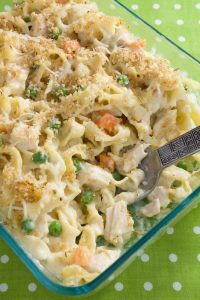 This casserole is perfect for a quick and easy dinner option. 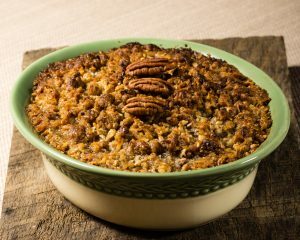 Time to stop worrying about your Thanksgiving desserts because this recipe is perfect for your Thanksgiving table or any fall feast. Sweet potatoes are already healthy, but this recipe allows alternatives to make it even healthier. That means more room for the stuffing! If you’re big fan of this famous soup, then you’ll love this dish. This recipe contains all the veggies, chicken and noodles you’ll need to make replica of the soup. This warm comfort food will make it feel like autumn. And the peas, carrots, and corn will definitely give you fall color vibes. Too tired from football games, holiday planning, and pumpkin patch visits to cook? Market Table’s got you covered! 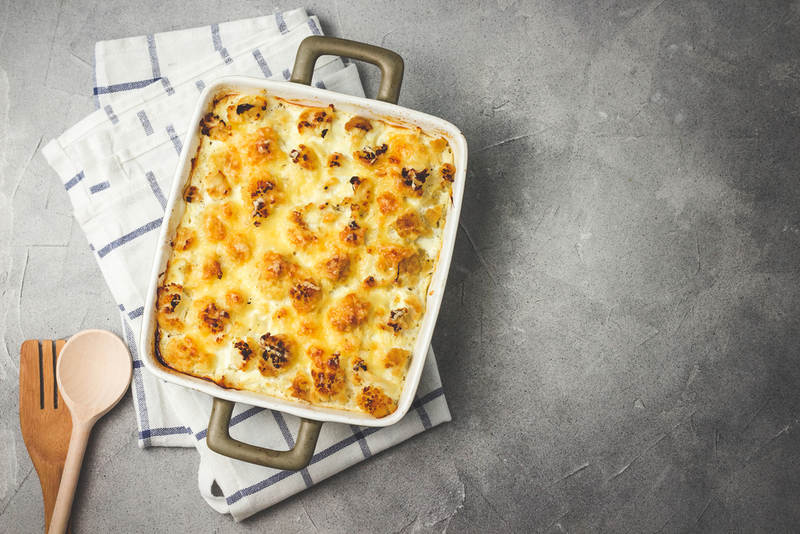 Swing by and grab one of our healthy and delicious casseroles from the freezer! Halloween’s all about the candy, but you need a few other food options to keep your party guests happy. Luckily, you can keep up the spirit of the season by making some spectacularly spooky snacks. 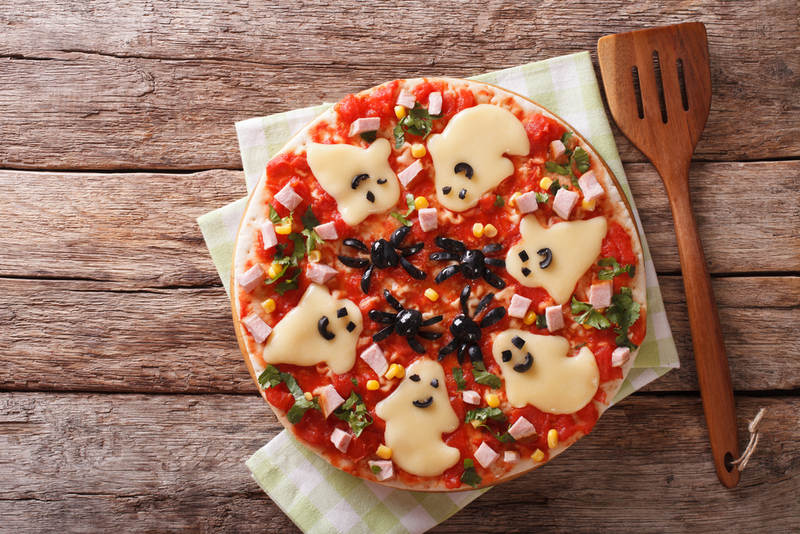 Here are a few recipes for a Halloween party sure scare up some appetites. These appetizers won’t draw any boos from your party crowd. 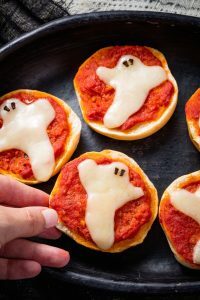 In fact, adding a fun little mozzarella ghost to your pizza bagels will have your guests screeching in ghoulish delight. This recipe also makes for a great kid-approved snack. Plus, they’re as fun to make as they are to eat. 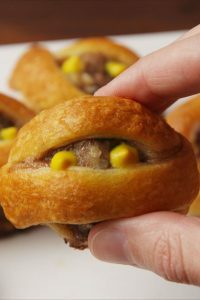 If you’re craving a deadly – or undeadly – snack, these mummy meatballs are the way to go. These might take a little longer to make, but the results will be worth it. 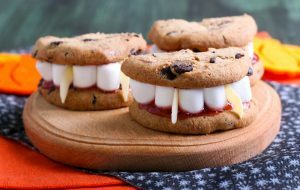 They’ll make a delicious addition to your snack table and be the talk of your monster mash. Halloween sweets are a must, but they don’t have to be limited to candy. This recipe turns party-favorite chocolate chip cookies into a mouth-watering treat. The result is a spooky dessert you can really sink your teeth into. Best name for a dessert ever? Yes. Scariest cake ever? Yes! 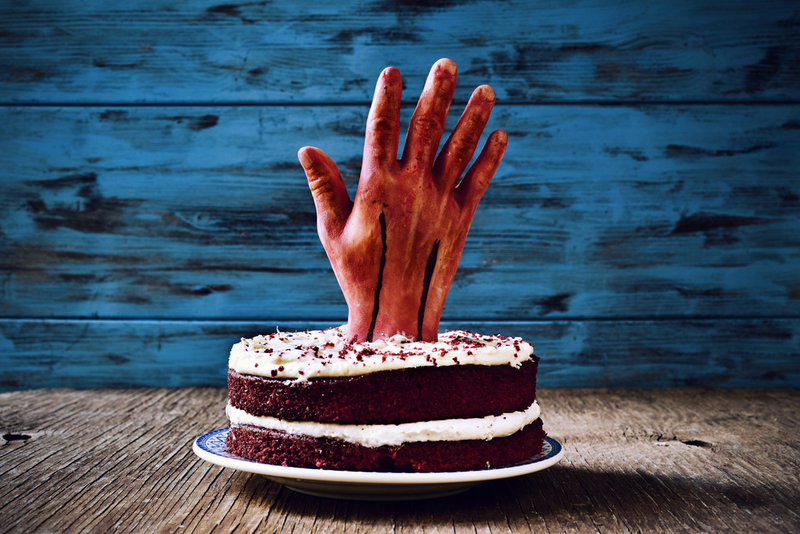 This spooky take on red velvet cake is a scream, especially if it’s topped with this plastic cleaver prop or a fake severed hand. It’ll make a scary-good dessert that will kill at your Halloween party. No Halloween party is complete without a spooky drink. 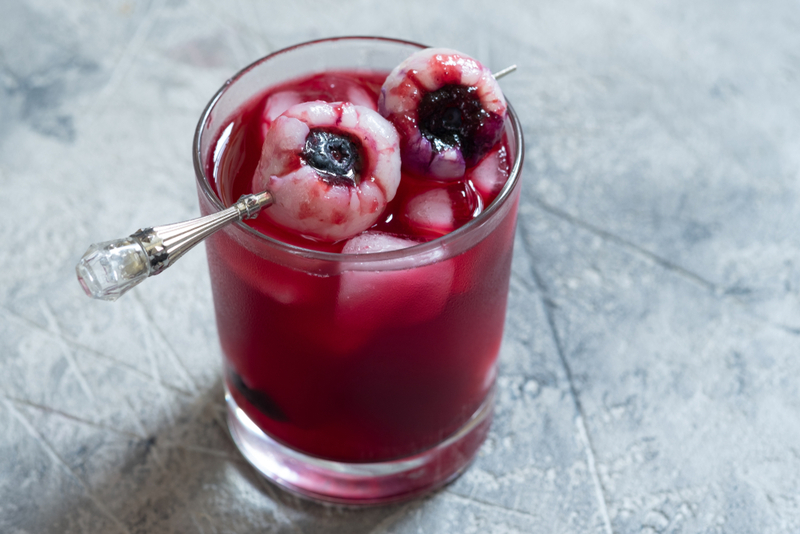 The recipe for this truly bewitching Halloween cocktail will be a hit at your party. Add a little dry ice to make it steam like a witch’s brew. For an extra scare, create a fruit “eye” for garnish by popping a blueberry into a lychee then skewering it. Spellbook sold separately. Adding any of these recipes to your Halloween party spread will surely result in a hauntingly good time. Just make sure to save room for candy, too.